Here's a great opportunity to buy in this very popular and sought after suburb, at an affordable level. A very quiet location yet close to the popular Fernleigh Track, Westfield Shopping Centre, Adamstown shops and cafes. Don't miss this one! * A loved family home in very good condition and a great location. * Separate lounge room, open plan kitchen and dining. * The timber kitchen is spacious and overlooks rear yard. * Perfect to live in as is, or ideal for renovation and extension. * Side driveway to garage and good size rear yard with bountiful fruit trees. * The 3 bedrooms are all double size, main has built in robe. 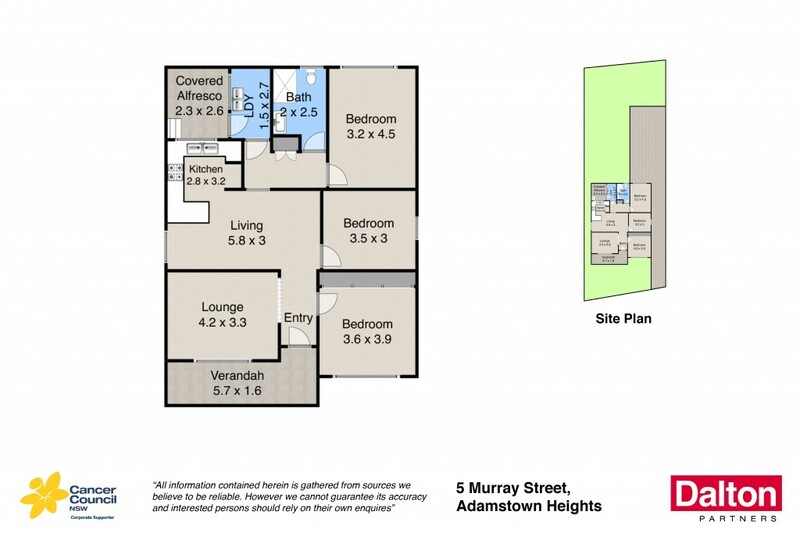 * Don't miss this opportunity to buy in popular Adamstown!